Netflix has close to 70 new titles premiering in February, and more than half of them are Netflix Originals. Of course, many of the new titles are returning seasons like second seasons of Bordertown, The Big Family Cooking Showdown, and One Day at a Time. 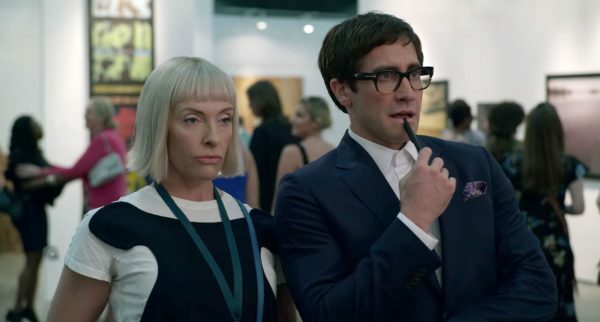 But there are quite a few new titles such as the original film Velvet Buzzsaw starring Jake Gyllenhaal and Rene Russo. There are also some comedy specials to check out including Kevin Hart’s Guide to Black History, Ray Romano: Right Here, Around the Corner, and Ken Jeong: You Complete Me, Ho. But while Netflix continues to pour money into original productions, they continue to bring an impressive movie slate with award-winning and Oscar-nominated films like About a Boy (2002), As Good as It Gets (1997), Billy Elliot (2000), and Jaws (1975). It might be why Netflix was voted overwhelmingly the most-desired streaming service in a recent poll we took. See the full list below. And, don’t forget to check out the newest 4k Ultra HD titles on Netflix. Previous Previous post: UltraViolet (UV) Movie Library Closing. Here’s What To Do.